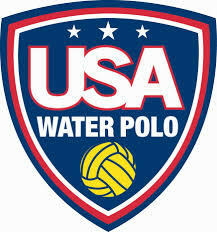 All players must be registered with USA WP at the Gold Level in order to participate. Private Lessons are a great way for your player to get undivided attention on a specific skill set. Please contact a coach directly (by clicking HERE) to schedule a lesson or send a request to info@newportbeachwaterpolo.com. Rates will vary by coach and payment should be made directly to the coach. USA Water Polo & Age Verification: All players must have a Gold Level USA WP Membership, a photo uploaded to their membership card, be age verified, and currently affiliated under Newport Beach Water Polo, Inc. (#20606) with USA Water Polo. Go to www.usawaterpolo.org to register. All USA WP memberships are on a calendar-year basis, and expire on December 31, 2019. Please remember to upload a current and recognizable picture of your player onto their USA WP Card - all players must present proper ID to officials to play! SoPac Zone: NBWP is part of the Southern Pacific Zone - there are several zones throughout the nation. For more info on our zone, click HERE. Not Getting Club Emails? Make sure you have your correct email address entered in your player's account. As soon as you see a tournament posted that your player is listed on the roster, please let your coach and admin know if your player cannot attend. Please also register your player for the tournament in a timely manner - this serves as the RSVP so we know we have a full team competing and allows you to receive timely and important info regarding the tournament. Registration link is located on the right hand side of the home page. Any unregistered player (tournaments and season sessions) will be registered by our admin with the credit card on file. Make sure your player is registered with USA Water Polo Gold Membership under Newport Beach Water Polo, Inc. Club #20606, age verified, and has a recognizable photo on their member ID Card. Go to www.usawaterpolo.org to enroll or renew your player's membership. Age is based on how old your player is on August 1st of the upcoming Junior Olympic Year- so for Spring and Summer Season, 2019, the age your player is on 8/1/19 indicates the age group he or she is in. Check our website home page, calendar, and events page regularly for practice times, tournament schedules, and tournament locations. If you are unsure how to read tournament schedules, please contact your coach or your Team Coordinator at least 2 days before the tournament begins. Remind your player to check in with his or her coach prior to the tournament starting regarding arrival times and team meetings before and/or after the game. Click on the Amazon Smile Logo Above to Start Shopping and Donating! Questions: Remember to go to our FAQs - can be found on the links above the Home Page or by clicking HERE. Important-- Newport Beach Water Polo is not affiliated with ANY high school or high school water polo program. No high school athlete is required to participate with Newport Beach Water Polo in order to participate with his/her high school team.